New Design – More review tools, in more parts of NIM; all rewritten to make the screening and mark-up of videos, PDFs and stills even easier. Shareable Filters – Save a filter and it will continue to update according to your search parameters. Track keywords and review item types for better organization across jobs. Version Stacking – Versions can now be confined to a single graphic, making it easier to scan and scrub through the latest changes. Theater View – Enjoy a larger viewing experience in the Review Bin. 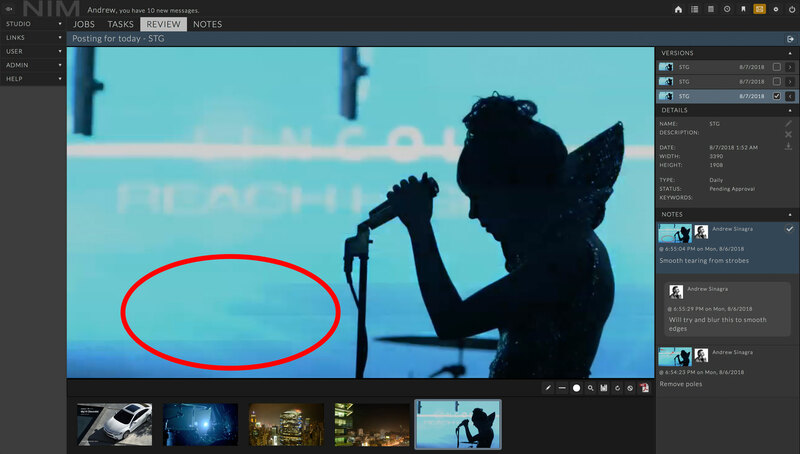 Try our new zoom, fit, fill and pan tools for playback. Review Bins – Organize your team by grouping like-items for future use. Sequences, images, play blasts, PDFs – the list goes on and on. 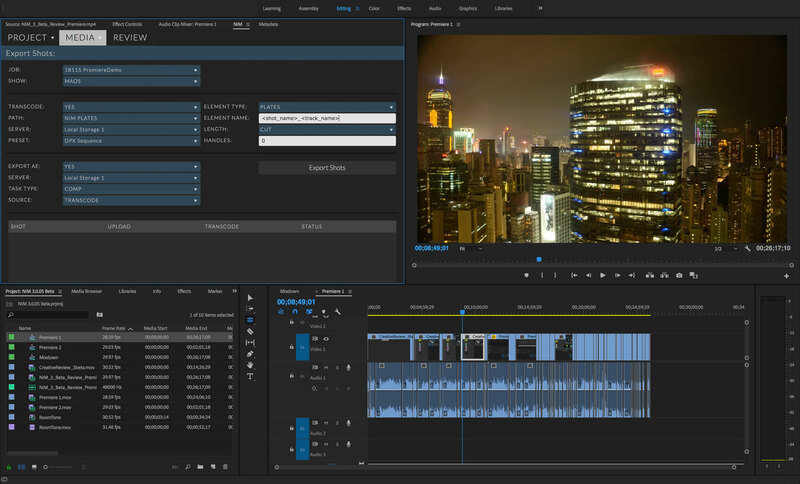 Deep Integration – A new NIM Connector helps editors do more within Adobe Premiere, from creating timeline shots to round-tripping elements rendered in other packages. All without leaving the app. Media Menu – A fast new way to rename shots, import elements and export edits. 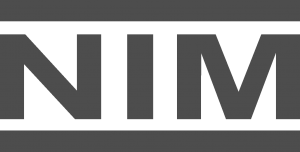 Conform – With NIM 3.0, Premiere transforms into a conform tool ready for VFX, post and VR workflows. Artists now have a new hub for their finishing pipeline. Review – Editors can now review sequences and manage versions from within Premiere, as NIM sends live updates to the team. 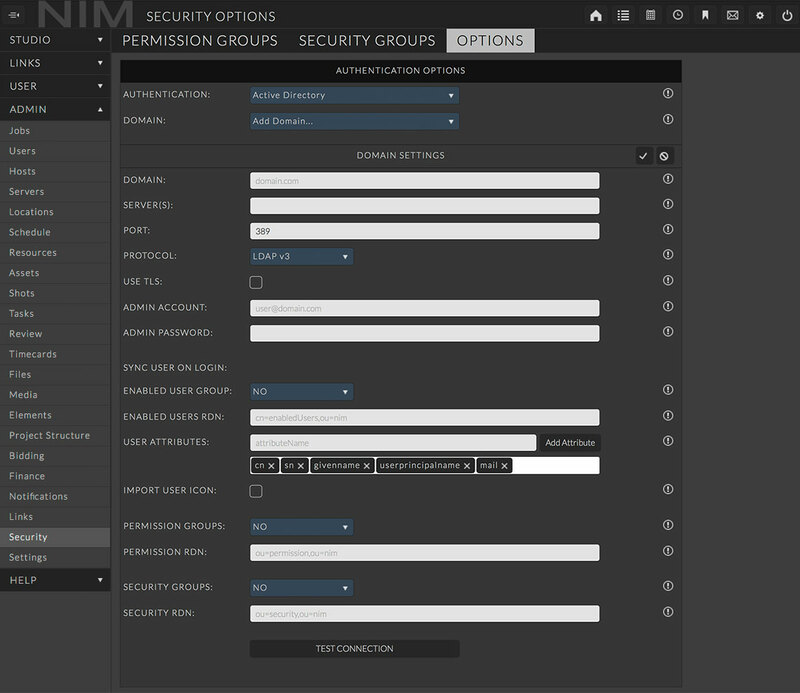 Quick Integration – Immediately integrating NIM into existing directory systems is now simple. Secure – Easily manage and enable users, permissions and security groups directly from AD or LDAP. Multiple Domains – More authentication controls across networks, with a tool that plays nice with everyone. 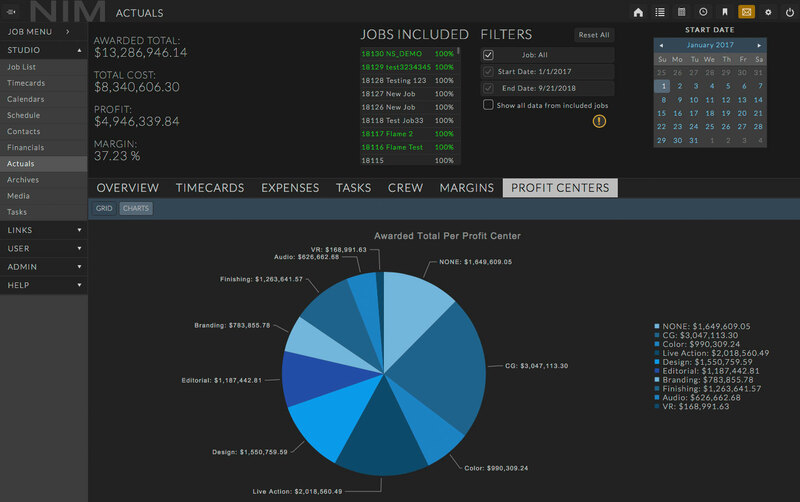 New Profit Center Codes – Users can attach their profit centers to bid items and expenses, helping management determine profitability by department. User Groups – Create unique User Groups within NIM. Rule-Based Notifications – Assign notifications for specific events, ensuring that the intended audience gets an alert.